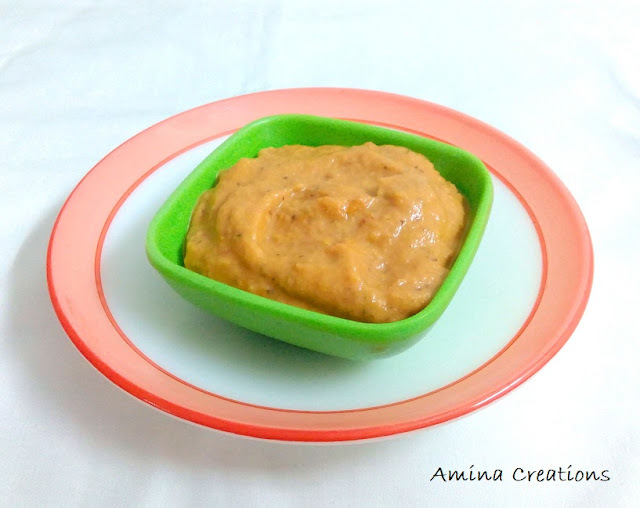 Groundnut chutney is a perfect accompaniment for idly, roti, pashte, etc. It is very easy to make and is simply delicious. First take a dry jar and add the roasted groundnuts. Grind for about a minute. Then add garlic cloves, red chilli powder, and salt and sprinkle some water. Grind to a fine paste and set aside in a bowl. You can serve as it is or add seasoning. For this, heat oil in a pan and add mustard seeds and asafoetida. When mustard seeds crackle, switch off the gas and add this seasoning to the bowl. Mix well. Groundnut chutney is now ready. It tastes good with roti, chapathi, pashte, etc. I love groundnut chutney..thanks for sending this for the event!